An allergy is an immediate reaction by your immune system to substances in the diet or environment that are usually harmless. The common allergens include dairy products, egg, wheat, soy, nuts, citrus, dust mite, moulds, pollens, etc. These are different to food intolerances, which are harder to detect. Allergic reactions occur when the immune system overreacts and mistakenly produce an antibody called Immunoglobulin E, or IgE, that then creates histamine to fight off the otherwise harmless antigens. This reaction results in an immediate inflammatory response, usually resulting in sneezing, swelling, itching, asthma, coughing, vomiting or choking. A simple blood test can give you an IgE allergy profile that includes dust mite, animal hair, airborne moulds, tree, grass and weed pollen, nuts, eggs, fish, clams, lobsters, shrimps, cows milk, soy, yeasts, citrus and several other fruits. Family predisposition can also lead to allergies in which case homeopathy is the only therapy to resolve the problems. Food intolerance, on the other hand, is more common and often goes unnoticed because symptoms can arise hours or days after the food is ingested. These symptoms might be as mild as gas and bloating, or as severe as arthritis and chronic fatigue. The immune system does get involved in food intolerances. Rather than producing the fast-acting IgE and histamine, the body produces IgG antibodies. These antibodies and the body’s reactions tend to first affect the liver and then move into weaker body tissues and “agglutinate” there — get stuck — and cause delayed reactions of chronic inflammation. 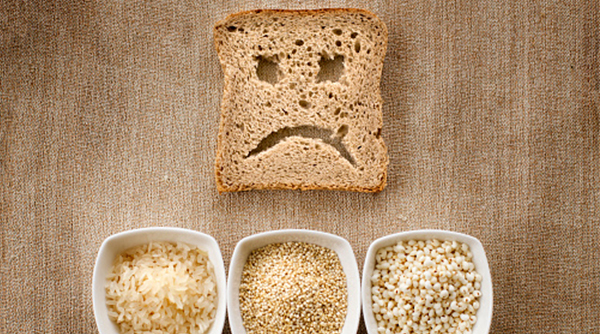 Intolerances to gluten or wheat, for example, gradually cause inflammatory antibodies to accumulate first in the intestines (which swell up), but may travel to the skin (eczema), joints (arthritis) or even the brain (MS, ADHD). Food intolerances are commonly acquired as adults, normally developed after stress-induced infections (chronic stress weakens intestinal immunity and reduces probiotics). Parasitic infections, long-term Candida fungal infections and several anti-biotic courses are common precursors to the development of food intolerances. A blood test is also available for IgG that includes dairy, wheat, gluten, eggs, sugar, soy, meats, fish, nuts, Candida and yeasts. There are medications available to manage the symptoms for both allergy and food intolerance, however the underlying causes are often not addressed. To cure the conditions before they progress to more serious diseases, the root causes must be identified and treated. 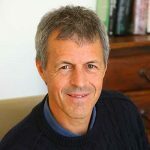 IMI’s Founding Director, Naturopath and Homeopath Graeme Bradshaw recommends the Four R Program as the important steps to cure allergy and food intolerance. The four steps are: Remove, Replace, Repair and Regulate. The very first step is to identify the antigens through the aforementioned IgG test, and then stay away from them during the following treatment period. For example, if cows dairy products is amongst the antigens, remove these from your diet is needed at first. Only by removing the main causes of persisting symptoms can the body begin to heal. The other common cause is persistent infection. This is usually in the gut. Infections in the tonsils, sinus and gut must be taken care of. A naturopathic physician can help you remove these infections with natural remedies, although at times antibiotic therapies can be prescribes for some of the parasites by our MD at IMI. In many cases, a detoxification may be needed to clean the liver and colon, and removing any heavy metal toxicity is sometimes needed to allow the immunity to rebuild. Antibiotics can reduce the levels of probiotics. It is important to replace the lost friendly bacteria through supplementation. Omega 3 is also important in addressing allergy issues and inflammation. Fish oils and flax seed oils are good sources. Vitamin C and Quercetin are very effective natural anti-histamines, while fruit and vegetables give you plenty of anti-oxidants. In cases of food intolerance, certain enzymes may be needed to correct the digestive enzyme deficiencies. Minerals like magnesium may also be needed if depleted by the leaky gut. In the Replace stage the body is given the nutrients, probiotic and enzymes to allow the beginning of healing, especially of the gut. After about 2 weeks on the Replace stage, the next step is to heal the gut and repair the intestinal lining. In many cases of food intolerances a so-called “leaky Gut” is found, and this hyper-permeability of the intestine has to be corrected next. This is only possible after all infections are well managed. 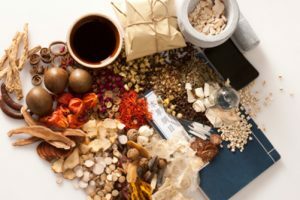 Depending on your conditions in the digestive system, your naturopathic physician may suggest GI Repair Powder, Glutamine, Zinc carnosine or DGL (licorice root extract) to assist this process. This may take 2 months. It means normalizing your immune system, which is possible not the gut is working well and the barrier and digestion is back to normal. Most allergic people need desensitization to their primary allergens to fully overcome long-standing allergy and intolerance reactions. This can be done with homeopathic potencies of the allergens. For true allergies it may take up to 12 months for more severe reactions such as to achieve this desensitization. However the condition should continue to improve all the way along. In cases of dust mite, people usually show adequate improvement after 6 months to cease any anti-histamines or other allergy management medications. With food intolerance, normally the foods can be rotated without symptoms after 4 months. Homeopathic or allopathic desensitization treatments are effective for common issues such as dust, pollens, eggs, dairy etc. One further development in homeopathy is to desensitize to Phenolic compounds found with pollens and foods, including artificial food colorings. This desensitizing can greatly assist multiple food intolerances, hyperactivity, eczema and allergic sneezing or asthma issues. Further immune system balancing and regulation is sometimes needed if there is an imbalance in the so-called Th1, Th2 sides of the immune function, which often corrects related chronic inflammation or auto-immunity issues. So if you suffer from allergies and/or symptoms related to food intolerance, it is recommended that you begin with the IgE or more commonly the IgG tests. The latter will be sent to Great Plains Labs in the USA. The collection for the test involves a finger prick “blood spot” sample, and is easily managed by children as well as adults. Both IgE allergy and IgG food intolerance tests are available through IMI. Once your profile is ready, our practitioner can come up with appropriate level of the Four R program to help you or your family member get back to health. To make a booking or enquiry, contact reception on 2523 7121 or submit the enquiry e-form below. At IMI, we are also committed to delivering peace of mind with holistic and natural treatments and the purest, high-quality supplements. Clinical grade & practitioner recommended, we’ve worked hard to source the best, so you don’t have to.